After leading organizations as a CEO and working with a myriad of senior leaders in a wide-range of industries it is our firm belief that many organization waste significant resources because there is little or no financial over-sight in four key areas of selling and customer relations. We believe organizations could improve their financial results if there were a line item in the budget for the following categories of expected expenses. 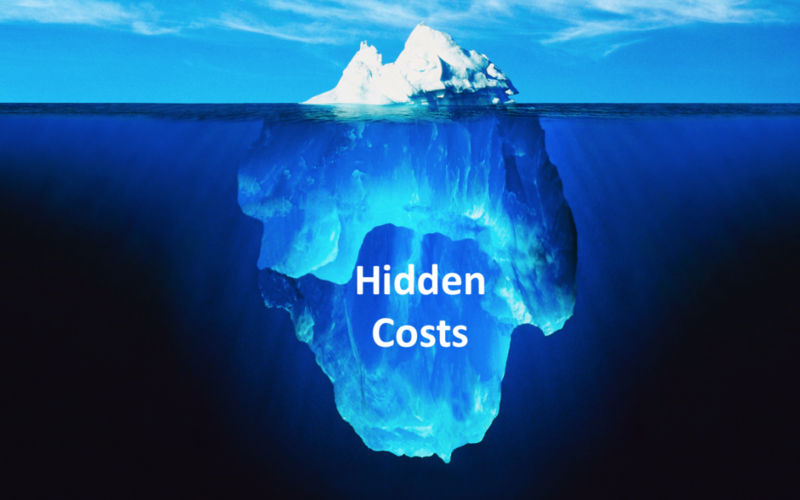 It’s a lot easier to manage these costs proactively than after the fact. Let’s look at each one separately. Cost of Turn-Over in Sales Reps– There are two types of turnover. Forced or Involuntary and unforced or voluntary. Forced or Involuntary turnover frequently occurs due to poor job performance, absenteeism or a violation of workplace policies. It’s forced and involuntary because it isn’t the employee’s decision to leave the company. Unforced or voluntary turn-over occurs when an employee chooses to leave the company of their own volition, is promoted or takes a different role in the They may be accepting employment with another company, relocating to a new area or dealing with a personal matter that makes it impossible to work. The cost of new hires: This includes recruiting and/or search fees, outside testing, interviewing, record verification, travel costs and administrative expenses. The cost of an open and undeveloped territory: This includes lost revenue from unstaffed territories. There are lost re-orders and stalled or lost new business opportunities. Customer issues often languish. Onboarding: When you on-board a new sales representative there are two key financial questions that must be answered. “How much money will you spend training the new hire?” and “How fast can you get them to a minimum level of quota performance? Advice: With turn-over there is always a negative budget implication. Sales managers should track the total cost of hiring a new sales representative. Every sales organization has a good estimate of the number of sales representatives that will be placed on a Performance Improvement Plan (PIP) or replaced during the year. Identify the costs and develop a cost calculator. You might be surprised at the size of the number. There is always a best case, worst case and expected case scenario for revenue production with a new hire. Compare that number to the quota for the sales territory and measure the difference and then develop a gap improvement plan. Cost of Opportunities That Fail to Convert– According to CSO insights 22% of “forecasted opportunities” never close. Let’s assume your organization has $100M of forecastable opportunities. This means $22M will never close because the customer decides to do nothing. At a 50% gross margin, your firm is losing $11M. Advice: Calculate the cost of forecasted opportunities that will be lost for the year. Track it annually, by region, and sales representative. Consider spending some of that $11M in lost gross margin to solve the problem and teach your sales force how to overcome the “status quo”. Cost of Customer Defection– It is not uncommon for an organization to want to grow 10-20% per year. Customer churn makes this a much tougher task. Let’s look at the math. Your CEO wants you to grow at 15% but your customer churn is 10%. This means your real growth rate must be 25%. Sale managers will be better positioned to calculate revenue growth if they understand their customer defection rate. Advice: Do you know the annual number of customer defections? What is the amount of lost revenue, the amount of lost gross margin and the reasons for the defections? These are important numbers to know. What would it cost you to mitigate or eliminate the defections? What proactive steps can be taken? Cost of Price Discounting- Most sales representatives don’t fully understand the effects of price discounts on gross margins or unit sales because they have never been taught to think of discounts in financial terms. Sellers are usually more concerned with concluding the deal than protecting gross margin. Every time a seller discounts a product or service he/she or the organization must increase their unit volume to make up the difference. Advice: Unless you pay your sales organization on gross margin they have no idea what the monetary effects are of price discounting. Why not track the effects of price discounting on lost gross margin and report it? Our sense is most organizations would find it a large enough number to teach their sales team some basic negotiating skills. There are three ways to achieve the EBITA number (Earnings Before Interest, Taxes and Amortization). Organizations can make their revenue number or decrease their costs or both. When revenue is down many organizations resort to a hiring freeze, a freeze on spending (especially training and travel) and a reduction in the work-force through layoffs or early retirement bonuses. Sometimes a division or product line is sold or discontinued. While these fixes often work in the short term there are other ways to reduce costs and improve profitability. We call these the low hanging fruit that are not typically in a company’s budget. The aforementioned costs can be managed proactively. As always, we welcome your thoughts and input. Let’s start a discussion and elevate the sales profession with a thoughtful, civil and informative discourse.